Im sensing something a little fishy going on! Emmanuelle Alt, who was promoted to Editor-in-Chief of Vogue Paris in January, has released her second cover for the ‘fashion Bible’. 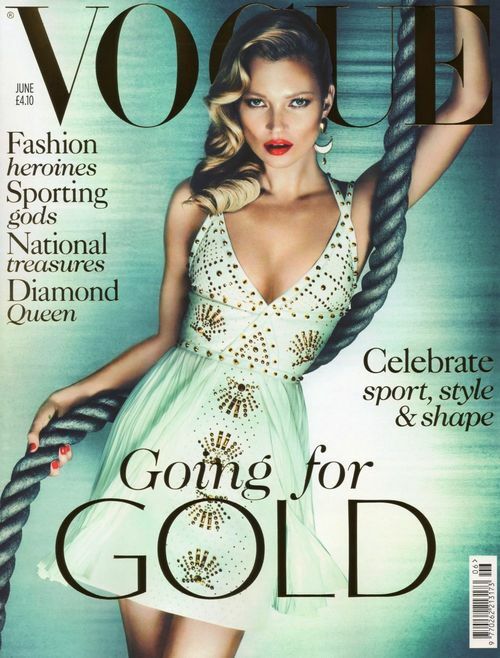 Kate Moss gives us a striking pose while wearing Armani Privé, with five mens hands reaching out and grabbing her. The cover was shot by Mert and Marcus, who also shot Alt’s previous and first cover for the magazine. I give this cover a thumbs up for a warm and welcoming feeling, and makes me want to know what’s inside right away!